Miracle Box Ver 2.57 is an awesome tool. It allows the user to flash, unlock and repair the smart phones. It’s a great helper to the China phone. In present, the market of China phones is increasing high. So you must install the tool on your PC to flash all china phones. Its first Fuzzy Logic technology based China mobile repair tools. If you are interested into download the latest Miracle Box Ver 2.57 than simply follow the link given at the bottom. It is free to download and very easy to use. So download and enjoy the Miracle Box Ver 2.57 on your PC. 5.Mtk FRP Remove Block Mode/Flash Mode (World's First). 6.Qualcomm Add Vivo Support(World's First). 10.ASUS FRP Added And More Improved. 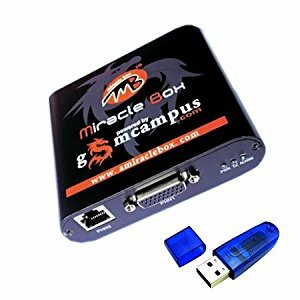 License: Miracle Box Ver 2.57 is Premium Utility Tool. Copyright ©: Miracle Box Ver 2.57 All rights reserved.